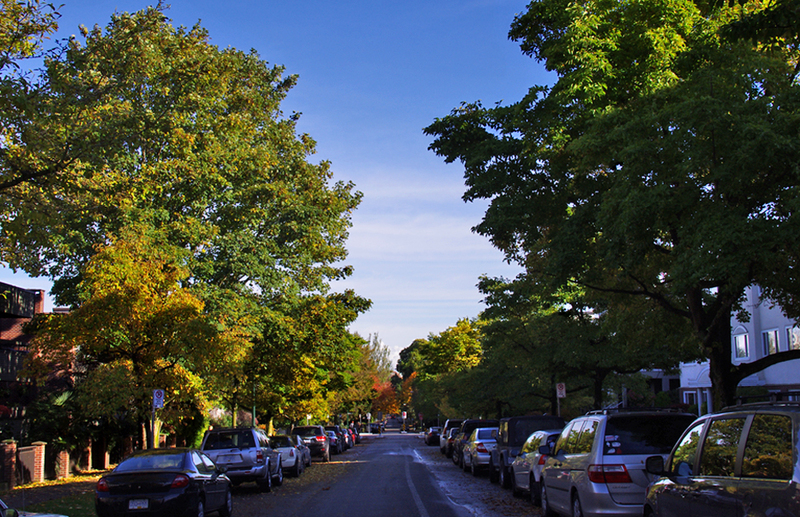 Photography 101: Street – Today, capture an establishing shot of a street scene in your neighborhood. 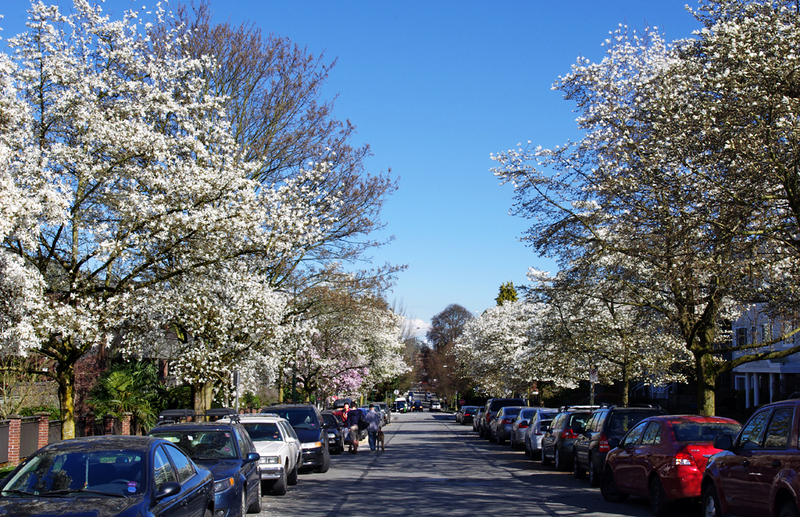 With winter just around the corner Cheri’s challenge today is the perfect excuse to spring back to those beautiful April blossoms that dazzled us for days just down the street. Fast forward to today and enjoy those same trees now dressed in their glorious Fall colors.